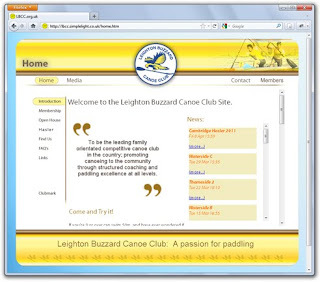 A few years ago I redesigned the website for Leighton Buzzard Canoe Club, as the site they had was very out dated. The whole site is built using layered Div's which are raised or lowered. every internal link sends 2 commands, the first is which page (div) needs to be on top and the second is which tab needs to be displayed on that page. This means the user could flick through to the contact information without loosing their progress navigating the gallery, or navigating the map.